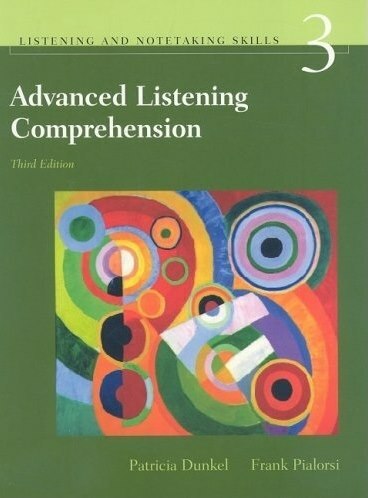 Advanced Listening Comprehension, third edition is a complete listening and notetaking skills program for advanced level students of English as a second foreign language.This book is a complete listening and notetaking skills program for advanced level students of English as second or foreign language. Lectures and readings on topics of universal interest provide stimulating content-based material for developing comprehension, notetaking, and academic study skills.Compelling cross-curricular lectures for stimulating, up-to-date content. Pre- and post-listening activities. Spiraled vocabulary, structures, and rhetorical patterns. Content-based units and lectures. Guided notetaking practice. Anthropology: The Evolution of Human Endeavor. History: The Passing of Time and Civilizations. Sociology: Women, Men, and Changing Roles. Communication: The Influence of Language, Culture, and Gender. Biology: Understanding Genetics to Genetic Engineering.